A walk through the old Paris, from châtelet to Paris’s town Hall going through the île de la Cité and the île Saint-Louis, exploring the atmosphere of the embankments and medieval buildings. The walk starts at the centre of Place du Châtelet (Lines 1, 4, 7, 11, 14). 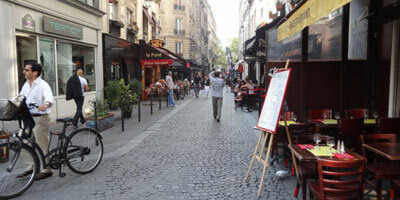 Go to rue Saint-Denis, a pleasant pedestrian street. Continue as far as rue des Lombards and turn right. You are still in a pedestrian zone. The rue des Lombards, narrow, stone built and bordered by pubs, restaurants and shops, presents itself as a Historic Paris sight. Continue straight ahead. 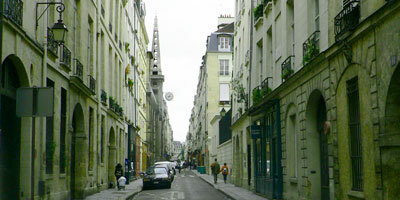 The rue des Lombards becomes rue de la Verrerie. Crossing rue du Renard, turn right. You see far off on your left side the Paris Town Hall. Go straight on, cross the Place de l’Hôtel de Ville and take the Pont d’Arcole (d’Arcole Bridge). Stop on the bridge and enjoy the wonderful river view. Cross the bridge. You are now on the île de la Cité. 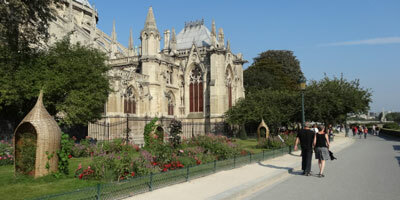 On your right facing the Cathedral, take Square Jean XXIII, a nice public garden bordering the Seine…and the Cathedral. From there, you will have magnificent views of its side front. Continue straight on. Leaving the garden, take Pont de l’ïle Saint-Louis on your left (Saint-Louis Island Bridge). 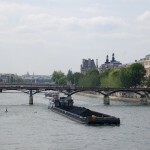 At the end of the bridge, you see stairs on you left going to the Seine’s embankments. Take it and go straight on. Enjoy the incomparable atmosphere of these embankments. You feel either on a modern or antic era, following your imagination. Continue straight on as far as the next stairs and go up. Upstairs, go straight on the Quai Bourbon and turn right onto rue regrattier. Go straight ahead and turn left on rue Saint-Louis en l’Île. This street is bordered by nice shops with beautiful windows. Gourmets will as well find very good restaurants. After 300m or so, on your right-side, turn right on rue Poulletier. At the end of rue Poulletier, turn left on the quai de Bethune. At the number 22 is a building were Baudelaire had lived from 1842 to 1843. Continue few meters then turn left on rue Bretonvilliers. You see, at the end of the street, a very well-preserved and gorgeous mansion. At the end of rue Bretonvilliers turn left. You are back onto rue de l’Île Saint-Louis. Turn right on rue Poulletier and at the end of it turn left on quai d’Anjou. 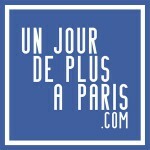 Take the first bridge you see (Pont Marie), cross it and go straight on. Continue rue Nonnains d’Hyères. 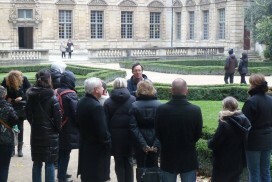 You will see on your right a beautiful full of flowers garden, the Garden of the Hôtel de Sens. Don’t hesitate to take a rest sitting down face to the Mansion (It is nowadays a library). Go back rue Nonnains d’Hyères and go straight ahead. Turn right on rue Charlemagne and sharp left, rue du Prévôt. This narrow street dates from the 13th century. At the end of it, turn left. 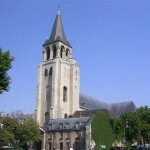 Take rue Saint-Antoine and continue straight on rue François Miron. At the numbers 13 and 15 of this street, you can see medieval buildings (16th century). Go straight on rue François Miron. At the number 44 is the shop of the Association of Historic Paris Conservation (Association pour la preservation du Paris Historique). 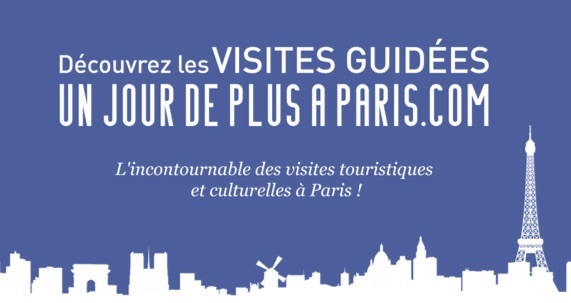 Enter to see maps of the ancient Paris. At the end of rue François Miron, you get in Place Saint-Gervais. In front of you is the back of the Paris Town Hall. Go left to get to the embankments. Turn right and walk along the embankments (quai de l’Hôtel de Ville and quai de Gesvres). At the end of it, you are back onto place du Châtelet. 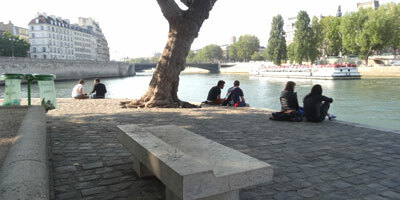 Discover the extreme charm of the right bank of Paris walking along the Seine.